Lawmakers in both chambers of Congress have pledged to look into the July 2011 cyberattack on the servers of a third-party Thrift Savings Plan contractor, which compromised the personal information of 123,000 TSP participants. Sen. Susan Collins, R-Maine., is pressing the FBI to explain the lapse of time between when the bureau became aware of the attack and when the Federal Retirement Thrift Investment Board was notified. The attack was lodged against FRTIB contractor Serco Inc. in July 2011. The board was notified in April 2012 and is currently notifying the 123,000 beneficiaries affected by the cyberattack. She also is pressing FRTIB, which oversees the TSP, to explain why affected participants and Senate committees were not notified until late May, when the board learned of the attack in April. 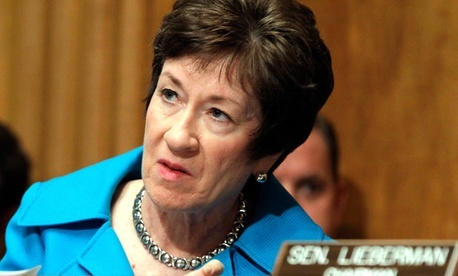 Collins, ranking member on the Senate Homeland Security and Governmental Affairs Committee, wrote letters to FBI Director Robert Mueller and FRTIB Executive Director Greg Long on Tuesday after being notified Friday of the sophisticated cyberattack that led to unauthorized access to personal information of TSP participants, including their names, addresses and Social Security numbers. The senator requested responses from the FBI and FRTIB, including copies of the notification letters sent to TSP participants and the specific data that was exposed. She also asked why Congress was not notified in April, when the board learned of the attack, and whether FRTIB would modify its congressional notification process going forward. In the letter addressed to the FBI, Collins also asked why the bureau did not report the attack to Congress at the same it reported to the TSP advisory board and whether the FBI was the first federal entity to discover the attack. FRTIB Director of External Affairs Kim Weaver said the board was wary of alarming all its participants, because approximately 1 in 40 TSP participants were affected. The board would not release a copy of the letter, slated to arrive in mailboxes earlier this week because it did not want all TSP beneficiaries to call the help line number provided. That number is meant exclusively for the 123,000 affected by the breach. The House Oversight and Government Affairs committee also is currently receiving and reviewing information related to the incident, according to a spokesman for committee chairman Rep. Darrell Issa, R-Calif. Neither the Office of Personnel Management nor the Homeland Security Department’s inspector general plans to investigate FRTIB as of Wednesday. The Government Accountability Office has not yet been asked to conduct an investigation, GAO spokesman Chuck Young said.